Home » Meet Paddington Bear! Meet Paddington, the beloved bear from deepest, darkest Peru! Over fifty years ago, a small bear set out on the adventure of a lifetime. With nothing but a suitcase, several jars of marmalade, and a label around his neck that read, "Please look after this bear. Thank you," he crossed the ocean heading for England. 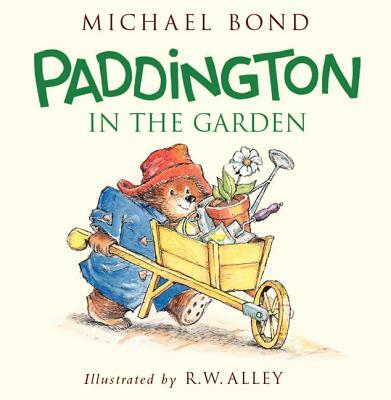 When he arrived at London's busy Paddington Station, he was discovered by Mr. and Mrs. Brown. As luck would have it, the Browns were just the sort of people to welcome a lost bear into their family - and their lives would never be the same. Paddington will be here on Saturday, September 1st at 9:00 AM. Do some coloring, listen to Paddington in the Garden, and create a craft. He'll also be happy to pose for pictures! The duration of his stay is not set, so please arrive at the beginning of the event to enjoy all that is being offered.